MISSISSAUGA, ON (May 15, 2017) – Across the province, whether in the yard or on a construction site, thousands of Ontarians are working in close quarters with a silent and potentially deadly hazard: powerlines. 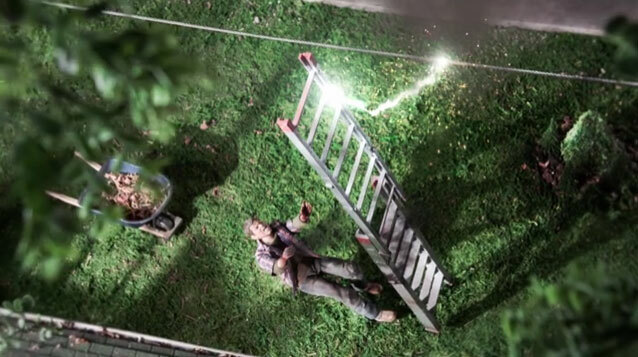 From May 15 to 21, the Electrical Safety Authority’s (ESA’s) Powerline Safety Week reminds people across the province to think twice about these unassuming overhead threats all year round, at home and at work. The Ontario Electrical Safety Report notes that more than 1,300 overhead powerline contacts were reported in Ontario between 2006 and 2015. As a result of those incidents, 23 people lost their lives and others were injured. Ontario’s most recent powerline-related fatality occurred earlier this month; a man died in Peterborough after contacting an overhead powerline while tree trimming. The tragic incident acts as a stark reminder of the lethal power of powerlines. 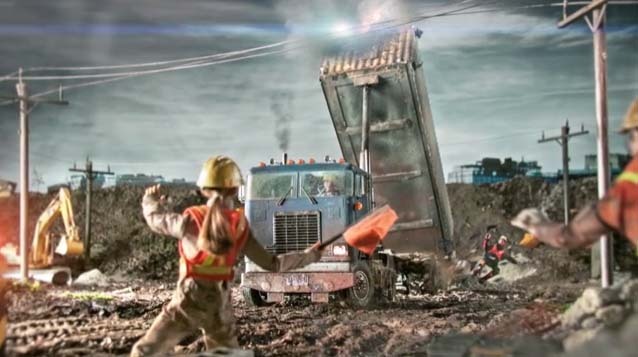 ESA’s 2017 Powerline Safety Week campaign includes compelling digital and television advertising targeting both construction workers and homeowners; life-saving tips at esasafe.com/powerlinesafety; social media content aimed at educating Ontarians on the risks associated with powerlines; and partnerships with local electric utilities to help spread the powerline safety message. 1. Locate the wires. Before starting any outdoor job, first look up, look out and locate the powerlines. Then keep track of where they are as you move around so you’re always mindful of them. 2. Stay back three metres from all powerlines – that means you as well as any tools such as ladders or pruners. Coming too close to the wires can cause electricity to jump or “arc” to you or your tools. 3. Never attach, drape or brace anything on a powerline. And never grab a line for balance when working at heights. 4. Carry ladders, pruners and other long equipment horizontally, not vertically, because they could come into contact or attract arcing from an overhead line. 5. Plant trees away from overhead powerlines and call Ontario One Call before you dig to ensure underground cables and other utility-owned equipment are located and marked. You’ll need to hire an locating service for any privately-owned underground infrastructure. If existing trees have grown into or close to powerlines, contact a trained utility arborist or your local electric utility to have the tree safely trimmed. 1. Look up, look out! Identify all powerlines on site and make sure people and equipment stay at least three metres away to prevent an incident. Electricity can jump to you or your equipment if you’re too close to a powerline. 2. Drivers of dump trucks and other high reach vehicles must get a signaller to ensure equipment doesn’t come within three metres of overhead powerlines. This is outlined in the Occupational Health and Safety Act. 3. Ensure that dump trucks on site drop their box after dumping the load. It’s good practice to have a raised box indicator installed in the truck to remind the driver the box is raised. 4. Stay alert! Many incidents happen at the end of the day when workers are tired or rushing to finish a job. 5. If wires fall down on the truck or the ground, always assume they are still energized. Stay in the vehicle, call 911 and keep everyone back at least 10 metres – the length of a school bus. Only the local utility worker on-site can confirm when the power is off and tell you when it’s safe to exit the vehicle. The Electrical Safety Authority’s (ESA) role is to enhance public electrical safety in Ontario. As an administrative authority acting on behalf of the Government of Ontario, ESA is responsible for administering specific regulations related to the Ontario Electrical Safety Code, the licensing of Electrical Contractors and Master Electricians, electricity distribution system safety, and electrical product safety. ESA works extensively with stakeholders throughout the province on education, training and promotion to foster electrical safety.